If you are already as exhausted as I am from the US primary season and the endless rage-filled lead-up to the 2016 federal election, then I have a treat for you! 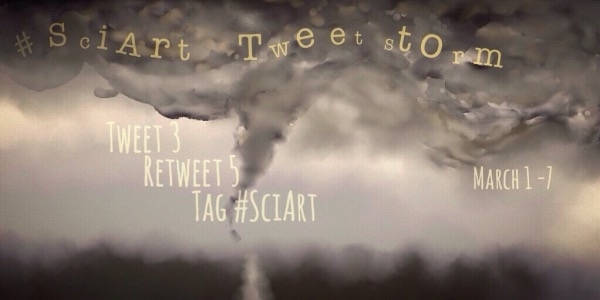 Here, for the 2nd year in a row, is #SCIART, the Science Art Tweetstorm organized by the Symbiartic crew at Scientific American Blogs. Now, if you imagine that “science art” means only scientific/medical illustration, infographics and notebook sketches, then you are in for a treat! Did you love those? Then click on over and check out the rest of the #SciArt show on Twitter. And remember, your retweets help the artists showcase their work, so be generous! You are very welcome Carol. For me it’s a privilege to have such beautiful work brightening my site. Thank you for stopping by!